The Pilatus PC-12 (NG) has gained a reputation for outstanding versatility, performance, reliability and operational flexibility. 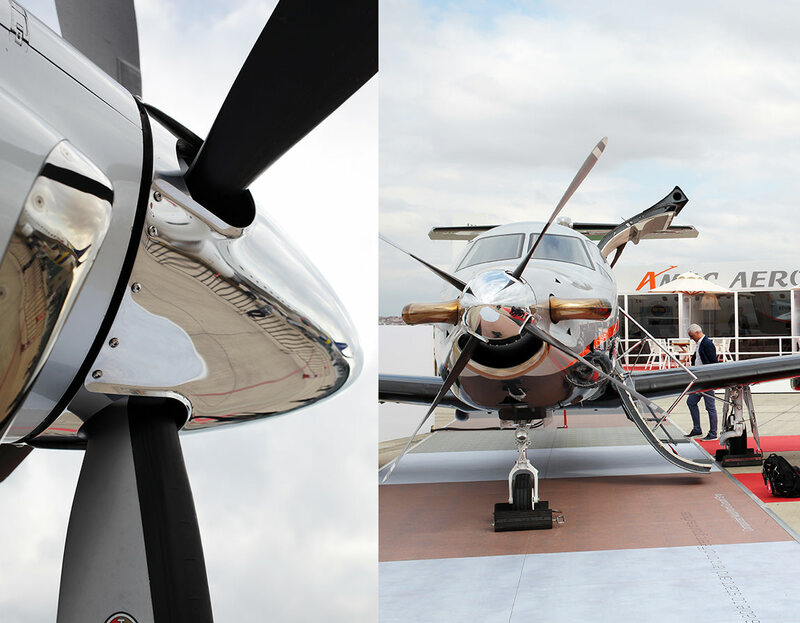 The PC-12 (NG) is one of the most popular turbine-powered business aircraft on the market today. Over 1600 aircraft have been sold. 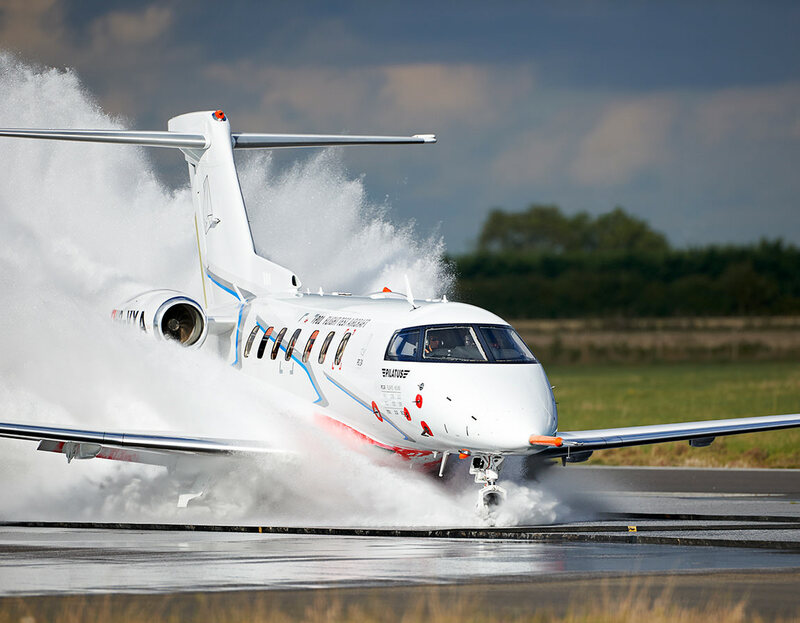 In operation around the globe, the PC-12 NG has found popularity in a number of roles– executive transport, cargo, air-ambulance, and government special mission applications. 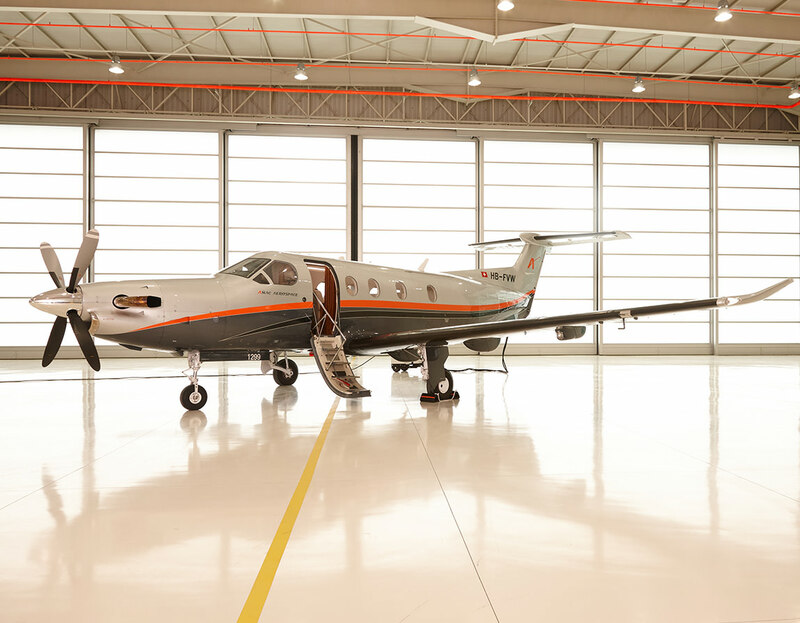 Whether it is the large cabin, long range, low operating costs, high speed, short-field capability, or precision Swiss engineering and construction, customers find the perfect balance of features to serve their needs in the PC-12 NG. 2,845lb payload capacity in cargo configuration – take your Harley on board! The PC-24 is a unique aircraft as it combines the versatility of a turboprop with the cabin size of a medium-light jet and the performance of a light jet. 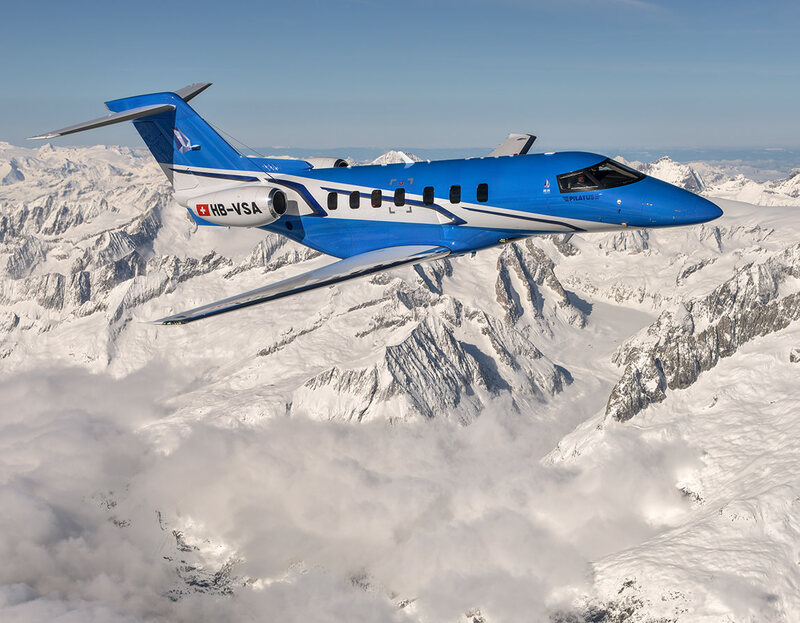 Pilatus had to create a new category for the PC-24, Super Versatile Jet (SVJ) category as its characteristics don’t allow for it to reside in any other conventional class. The PC-24 has been engineered to be “off-road” compatible from the beginning. Its outstanding short-field performance – even on unpaved runways – opens up an incredible level of mobility. That means you can fly closer to your final destination than with any other business jet. You‘ll be able to use smaller airports and avoid massive administrative procedures, and reduce ground transfer time to an absolute minimum. More airports: No other business jet can operate from paved and even unpaved surfaces as short as 2,690 feet (820 m) – this gives you access to more than 21,000 airports worldwide. Cabin space: No other business jet offers this much cabin space with an entirely flat floor at this price level in its category. The interior configuration can quickly be adapted to your needs. Advances cockpit: No other business jet features a more capable standard cockpit environment at this price level. Cargo door: No other business jet includes as standard a generous cargo door that makes loading quick and easy. Baggage compartment: No other business jet in this class features a comparable all-internal, pressurized and in-flight-accessible baggage compartment. 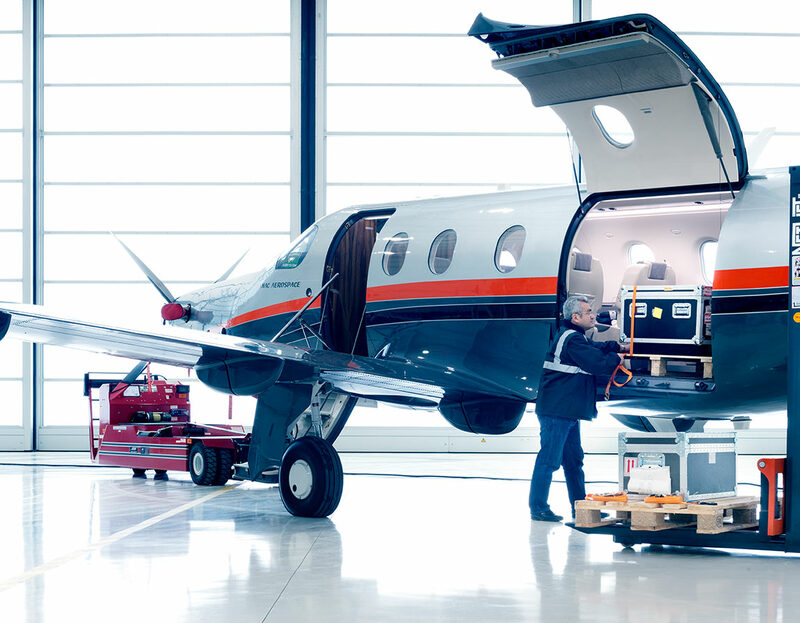 Improved safety: No other business jet at this price level offers such a combination of high-tech and simplicity that helps improve situational awareness and safety. Quiet Power Mode™ (Quiet Power Mode QPM – hours not counted towards engine run time): No other business jet has the possibility to cool or heat the aircraft on the ground under its own power with the revolutionary Quiet Power Mode™. Operational flexibility: No other business jet is a Super Versatile Jet giving you the most operational flexibility possible. Crystal Class Support: No other business jet offers Crystal Class Support – business aviation’s most comprehensive warranty and service package, provided by a global network ranked number 1 in the industry for 15 consecutive years. 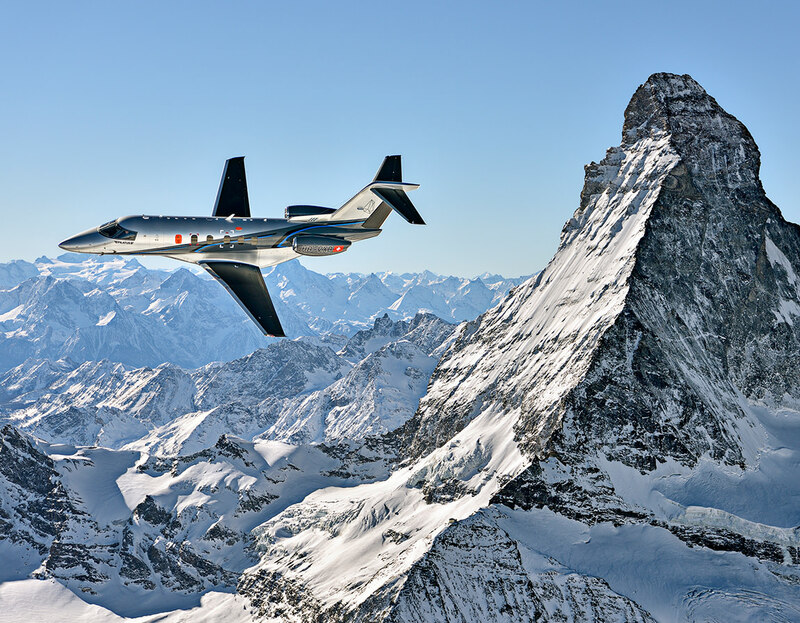 Swiss quality: No other business jet is made in Switzerland by a manufacturer with an unmatched reputation for precision such as ours – we're proud to be called over-engineered.